18 independent arts and crafts traders from around Bristol assembled on Sunday 2 December 2018 as HERE hosted its Christmas Fair. 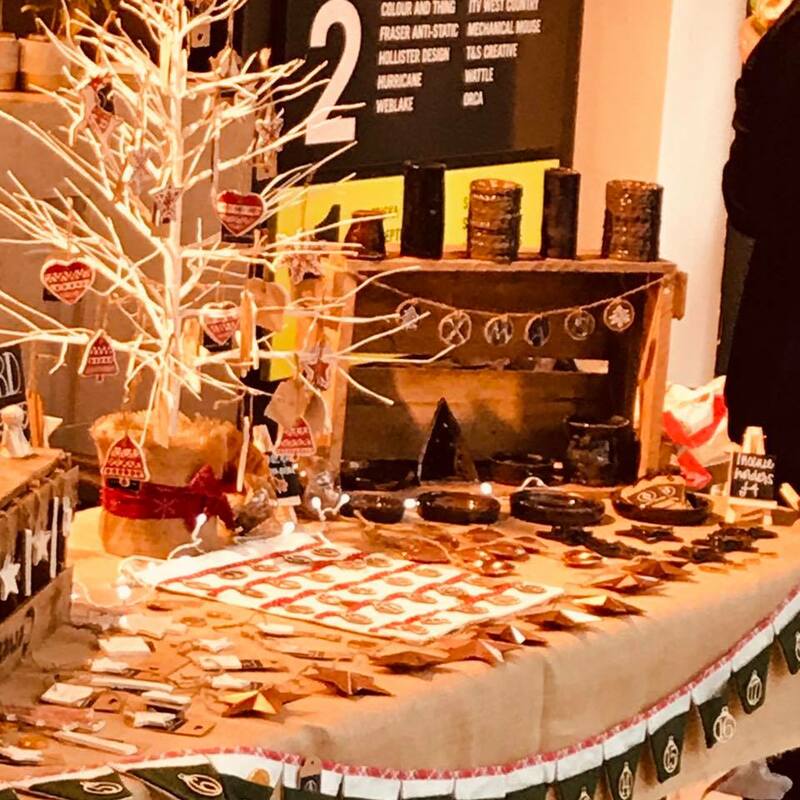 The upcycled office building on Bristol’s Bath Road in Brislington filled its foyer with yuletide cheer on the weekend and several thousand local shoppers paid a visit and enjoyed an alternative Christmas shopping experience. “Bristol has a well-earned reputation as a creative city and that was in evidence at the weekend. We offered independent trades people the chance of a free stall at our Christmas Fair and 18 local makers took up our offer. The Fair also featured an antidote to Christmas Turkey in the form of Agnes Spencer Jerk Chicken, and the in-house Friska coffee shop opened especially to serve a range of Christmas nibbles.